Amanda and Albert were married at City Hall on June 7, 2017. 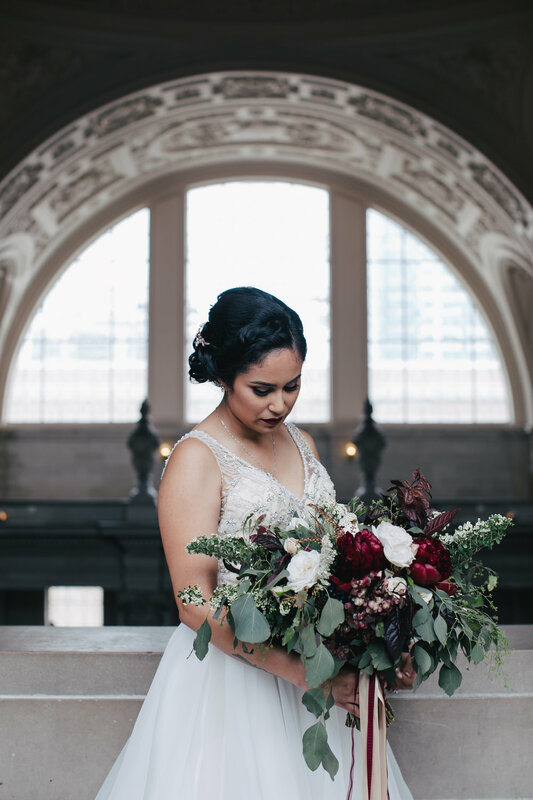 We used lush burgundy and ivory colored flowers to create the look. It was all incredibly romantic! We wish you both the best!